This is not a drill! 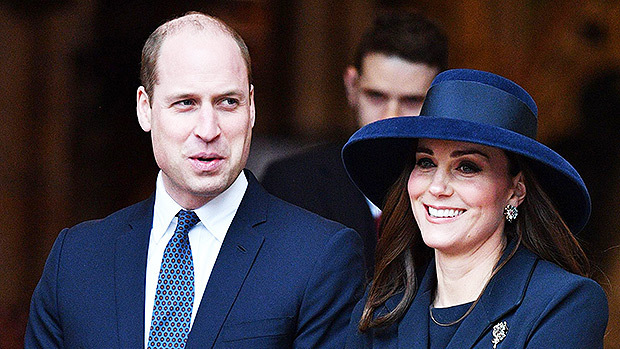 The 3rd royal baby has officially arrived, and we could not be more thrilled for Kate Middleton & Prince William. Get all the exciting details here! Kate Middleton, 36, has given birth! The Duchess of Cambridge and her husband, Prince William, 35, became three-time parents when they welcomed a baby boy on April 23, and we can only imagine how excited all of England must be about welcoming another royal baby. The little boy arrived at 11:01 a.m. local time, weighing in at 8lbs. 7oz. He joins Kate and Willis’ already-adorable family, including big brother George, 4, and big sister Charlotte, 2. Talk about a joyous time! Click here to see adorable pics of the entire royal family. Kate was forced to announce her pregnancy earlier than she had wanted due to the return of her severe pregnancy sickness, or Hyperemesis Gravidarum (HG). Since she was feeling so sick at the time, the duchess dropped out of a few royal engagements, including taking George to his first day of school back in September. As a result of her noticeable absence, and to explain why she wouldn’t be accompanying her son to school, the palace revealed Kate and Wills were expecting once again. “The Duke and Duchess of Cambridge are very pleased to announce that The Duchess of Cambridge is expecting their third child,” Kensington Palace tweeted on Sept. 4. “The Queen and members of both families are delighted with the news.” While Kate’s HG was intense during the first trimester, like it was during her first two pregnancies, the royal was feeling much better during the later stages of her pregnancy. In fact, by November, Kate revealed she was finally feeling well enough to participate in George’s school drop-offs. “As a mother, just getting used to leaving my own child at the school gates, it is clear to me that it takes a whole community to help raise a child,” she said, as quoted in People, at the time. “Whether we are school leavers, teachers, support staff or parents we are all in this together.” We cannot wait to find out more about Kate and Wills’ newest addition. Congrats again, you two!